Local, state, and federal law enforcement agencies are concentrating on taking down methamphetamine manufacturers, traffickers, and dealers throughout Florida. In the latter months of the year, authorities arrested dozens of individuals during multiple major operations. In August, 45 people were arrested during Operation Ancient City Brewers II in St. Johns County for making and selling meth. In October, 16 individuals were arrested in Volusia County during Operation Ice Aged. In November, Drug Enforcement Administration (DEA) agents arrested three individuals who were holding meth and the items needed to separate and sell it at a Kissimmee resort. The DEA and Florida police take meth possession and sales seriously, and are constantly on the lookout for the drug. If you were arrested because the police believed you were involved or had meth on you, contact an experienced Florida criminal defense attorney right away. Meth charges are serious and can land you in prison for years. However, a strong defense can lead to an acquittal or minimize the consequences of conviction. Possessing up to 14 grams of methamphetamine is a third degree felony in Florida, under Florida Statute Section 893.13. However, what is possession? It can mean a number of things under the law, though it always boils down to you having control over the drugs at the time of the arrest. Literal possession includes having meth on your person, including in your pocket, purse, or backpack. However, possession can also mean having meth in your vehicle, apartment, house, storage unit, or locker. If the meth is in a place that you own or rent, it is likely the police and prosecutor will believe it is yours. This is known as constructive possession, and the prosecutor will need to prove it through two elements: 1) that you had knowledge of the meth being in a place you had access to and 2) you had control over the meth. If you were charged with possession of meth but the drug was not actually yours, you must strive to prove so in court. If you are convicted of possessing meth, you can be penalized with up to 5 years in prison or on probation and a fined up to $5,000. You will also have your driver’s license revoked for at least 1 year. If you have 14 grams or more of meth on your person or in a place you control, you can be charged with drug trafficking under Florida Statute Section 893.135. Technically, you do not need 14 grams of meth. If the substance you possess contains meth and weighs 14 grams or more, then you will be charged with trafficking, even if the total amount of the substance is less. Drug trafficking is charged as a first degree felony, though the minimum prison sentence increases depending on how much meth you had in your possession. If you possessed 14 to 27 grams, you face at least 3 years in prison and a $50,000 fine. If you possession 28 to 199 grams, you can be imprisoned for at least 7 years and fined a minimum of $100,000. The mandatory minimums for 200 grams or more of meth are 15 years in prison and a $250,000 fine. If you were charged with possessing or trafficking meth, you need criminal lawyers experienced with defending against serious drug charges. The Kissimmee attorneys of Salazar & Kelly Law Group, P.A. are exactly who you need. 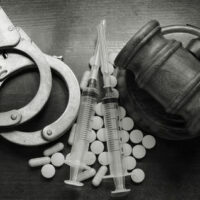 We have years of experience helping our clients defend against drug-related charges, win acquittals, and minimize the consequences of drug convictions.